Formed in the late 60s at Detroit's Pershing High School, Enchantment became one of the most enjoyable but underrated groups of the late 70s and early 80s. 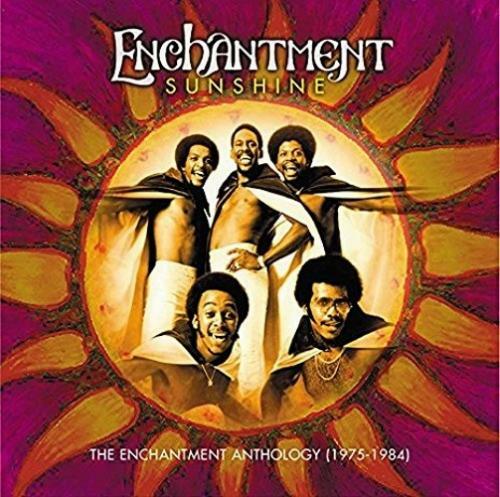 Consisting of lead singer Emanuel "EJ" Johnson, Bobby Green, Mickey Clanton, Joe Thomas and Dave Banks, Enchantment was for many years a local favorite, playing gigs in the Detroit area while hoping to ultimately score a record contract. 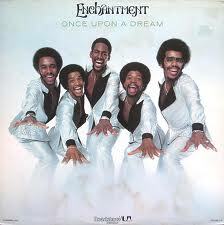 Enchantment had its first big break in 1976, as the group signed with the Roadshow label and recorded a debut album with young producer (and future Motown executive) Michael Stokes. Enchantment was a decent introduction to the group, but most importantly was the first showcase for Enchantment's strong harmonies and the wonderful falsetto lead vocals and songwriting skills of EJ Johnson. Johnson was more influenced by Eddie Kendricks than Philip Bailey, but in an era of falsetto lead vocalists (from Russell Thompkins of the Stylistics to Eugene Record of the Chi-Lites), his ability to both master emotional ballads and attack blistering upbeat tunes moved him to the head of the class. Enchantment's debut album boasted two top ten R&B hits, "Sunshine" and the beautiful ballad, "Gloria," both written by Johnson. Enchantment's follow up, Once Upon a Dream, was a gem, far surpassing its predecessor. Featuring the crossover ballad "It's You That I Need" and the upbeat "If You're Ready," it was, front to back, one of 1978's most listenable LPs and included both more mature group vocals and more elaborate backing work by great local Detroit musicians (including a ripping saxophone solo by Bob Seger sideman Alto Reed). Beyond the LP's hits were a slew of memorable album cuts, including "Silly Love Song" and the swing ballad "Angel In My Life." Unfortunately, while Once Upon A Dream should have thrust the group to A-list status, it became Enchantment's commercial peak. The group followed in 1979 with the solid Journey To the Land of Enchantment, and its hit, "Any Way You Want It," but problems at Roadshow Records began to affect the Enchantment's visibility and active promotion. 1980 brought the downfall of Roadshow and the group's ill-fated move to RCA's fledgling black music division. Soft Lights, Sweet Music was a disappointment, and the group quickly switched to Columbia Records, where they hoped that an affiliation with the world's largest record company would create great opportunities for increased crossover success. Unfortunately, Enchantment was lost in Columbia's monolithic organization and their two albums there died from lack of support. Their final recording, 1983's marvelous Utopia, reunited them with Michael Stokes and was a critical success (and is very much worth searching for), but barely dented the charts. As we enter the second decade of the new millennium, Enchantment continues to perform in multi-group Soul Music shows around the world. EJ Johnson has also become a popular name in Gospel circles as both a writer and producer. He released his first solo CD, the impressive Totally With Me, in 1999. In 2003, Enchantment released a beautiful single version of "God Bless America" in honor of America's soldiers in Iraq (with proceeds to the United Way). The single found the group in absolutely fantastic vocal form and is worth finding both for the cause and for the quality of the music. Four years later they issued a DVD of their greatest hits performed live. More recently, Enchantment experienced a problem that many classic soul groups have encountered, as Thomas left the group to form a separate vocal group called Enchantment featuring Jobie Thomas. In 2013, EJ Johnson received the SoulTracks Lifetime Achievement Award for his contribution to soul music and performed a stirring version of "Gloria" at the awards ceremony. While their time topping the R&B charts was brief, Enchantment certainly made an impact with a string of lush, extremely well performed songs that still sound great nearly four decades after the group's peak.